LG (Life's Good) makes a variety of front-loading washers for home use. These machines consistently receive high marks from consumers for efficiency, function, style, and capacity. 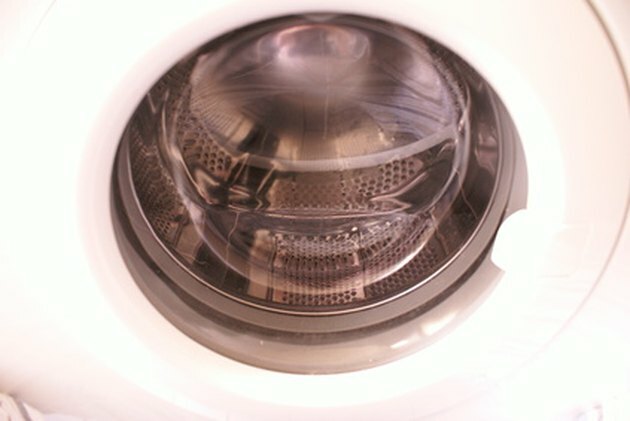 One common complaint, however, is noise and vibration during the spin cycle. Some sounds, such as the whizzing that comes from air flowing around the drum as it spins and the clicks of relay switches, are normal. Others, such as loud banging, rattling, or excessive vibration, are not. You may be able to diagnose and fix these problems yourself, without calling a service technician. Check for loose objects. Loose metal objects in the machine, belt buckles, big zipper pulls, and the like, can cause frightening sounds, especially when the drum reaches its highest spin-cycle speeds. Items left in a pocket may have come out and be rattling around inside the washer drum or be caught in the drain filter. Check the drum to see if a paper clip or other metal object has gotten stuck in a drum hole, making noise when the drum rotates. Adjust the load. Small loads can be a particular challenge in these machines, often becoming unbalanced. Try rebalancing the load by stopping the washer and moving the laundry around so it is distributed more evenly. If the washer is squealing, you may have overloaded it. If so, take some laundry out. Check hoses. Make sure that both the intake hose and drain hose are tightly connected to the LG washer so they cannot knock around during the spin cycle. If you can make them knock up against the washer by hand, tie or tape the hoses together to reduce their movement. Level the washer. Try to rock the LG washer diagonally. If it moves, the machine is not level. Adjust the feet so all four rest evenly on the floor and you are no longer able to tip the washer diagonally. You may need a wrench to adjust the feet without picking up the washer. Attaching rubber or other cushioning pads to the bottoms of the feet may help dampen vibrations and noise. Reinforce the floor. If leveling the LG washer does not stop the noise, especially if the noise is accompanied by excessive vibration, your floor may be too weak for the machine during its high-speed spin cycle. Put the washer on top of a sturdy board to provide a stable foundation. Solid wood planks work well. Use rubber pads on the washer's feet to dampen the noise even further, or install a section of barn mat—a durable rubber pad used to line the floors of horse stalls—on top of the boards. Find barn mats at feed stores and other farm supply stores. Check the bearings. If you can lift the drum upwards from the inside, the washer's bearings may be worn. Call a service technician or the LG warranty department.